Rabat - As the African Union-European Union Summit kicked off today, the Algerian Press Service reported Polisario Front leader Brahim Ghali was greeted in Abidjan, Côte d’Ivoire, by two Ivorian ministers who do not actually exist. 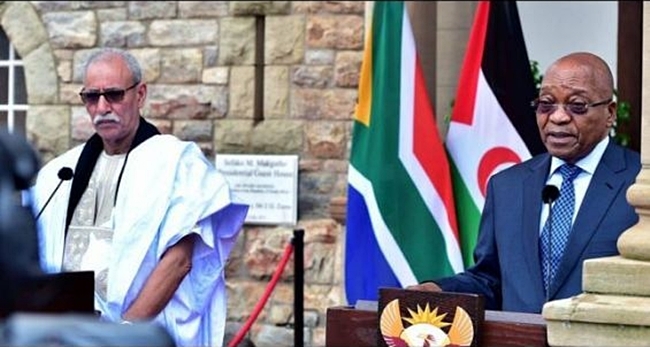 Rabat – As the African Union-European Union Summit kicked off today, the Algerian Press Service reported Polisario Front leader Brahim Ghali was greeted in Abidjan, Côte d’Ivoire, by two Ivorian ministers who do not actually exist. 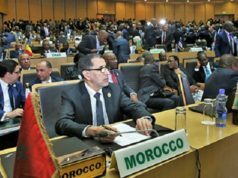 First, the Polisario mouthpiece SPS wrote that the Front’s leader arrived on November 28 to the Ivorian capital to participate in the 5th AU-EU summit. “Upon arrival, the head of state was received by the minister of public function and the minister of tourism,” stated the SPS, attaching a picture of Ghali with two Ivorian officials. The news was then taken up by the Algerian Press Agency, claiming the two ministers were Said Fava, the Minister of Civil Services, and Touré Mamada, The Minister of Tourism. Côte d’Ivoire’s actual Minister of Public Services, Issa Coulibaly denied the existence of “Saïd Fava,” when contacted by Moroccan news outlet H24Info. Meanwhile, the Ivorian Minister of Tourism is Siandou Fofana. Mamadou Toure is actually the Secretary of State in charge of Technical Education and Vocational Training. This is not the only false information the APS laid on thick. The agency published a dispatch by its “very special” envoy in the Ivorian capital yesterday, saying that the flag of the Front was hanging on Boulevard Hassan II in Abidjan, for the occasion of the AU-EU Summit. However, no flags of the participating countries have been hung in Abidjan. 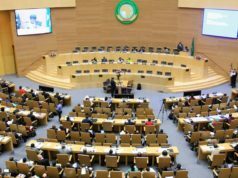 Only that of Côte d’Ivoire, the country hosting the summit, as well as those of the AU and the EU appear, reported Moroccan journalists attending the summit. 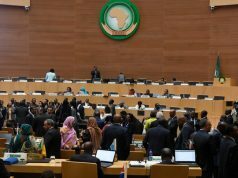 After an intense month of consultations, heated debates, and wild speculations, the European and African Unions finally cleared up the imbroglio about the participation of the so-called Sahrawi Arab Democratic Republic (SADR) in their upcoming joint summit. 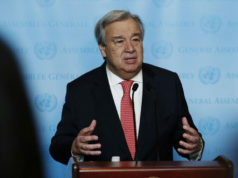 During a joint press conference held November 22 in Brussels, Vice President of the European Commission Federica Mogherini and her African counterpart Moussa Faki Mahamat announced the official participation of the Sahrawi separatist front in the summit, to be held November 29 and 30.